Due to excess moisture bathroom are exposed to, they tend to accumulate mould rather quickly. Then again, the minerals in the water can cause limescale to deposit on sinks, showerheads and even tiles. There is a convenient, cost-effective and simple way to deal with this. Just arrange an appointment for the high-quality bathroom cleaning services our reliable company offers to residential customers in and around Battersea. You will undoubtedly find our rates very appealing, not to mention the results will be spectacular! 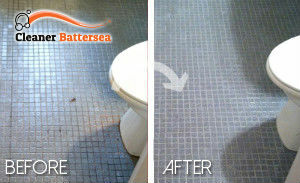 We are an established cleaning provider, local to Battersea, SW11 and bathroom cleaning is among our most popular services. Customers in the area opt for using our services because they are efficient, easy on the budget, and convenient to book. But there more perks of using us! The cleaners we work with have gone through a comprehensive training and are well-acquainted with all aspects of a professional bathroom clean. They never compromise when it comes to quality, which is why they pay close attention to all details and never skip on hard-to-access areas. Our team can visit you any day you find suitable as we are at your disposal over the weekends and on bank holidays, too. The cleaners will remove limescale from your tiles, showerhead, taps, and sink. They will diligently clean the grout between the tiles and wipe all soap scum from the bathroom’s walls and mirror. You can also count on them to disinfect your toilet bowl and empty the garbage bin. 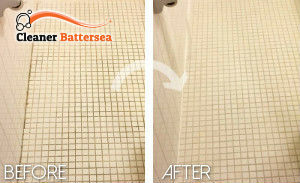 Become one of the many satisfied customers in SW11, who have benefited from the professional bathroom cleaning services our committed cleaners carry out in the area. Book us online or share your details via our online form to receive your free quote today!